The Ultimate Real Estate Question: Rent or Sell? You are here: Home / Buying or Selling Real Estate / The Ultimate Real Estate Question: Rent or Sell? This is the 21st century, and that means we move. We as a society move a lot whether you are military or civilian. So when it’s time to move, what should you do with your house? That’s one of the biggest real estate questions there is. Depending on when you bought your home, you may or may not have equity in your house. Figuring out the choice that works for you is stressful and hard. I have found that in recent months the question of what to do with the house when moving has come up a lot. This question is only going to get asked more often as the summer comes upon us. In most areas, there is a defined moving season, and in my experience the high season is the summer. People want to move while the kids are out of school to prevent them from missing classes. The thing is there is no simple answer to this real estate question. A simple yes or no just won’t do. This post is for those who have thought this question, asked it, wondered about it, and even those who should have been asking it. 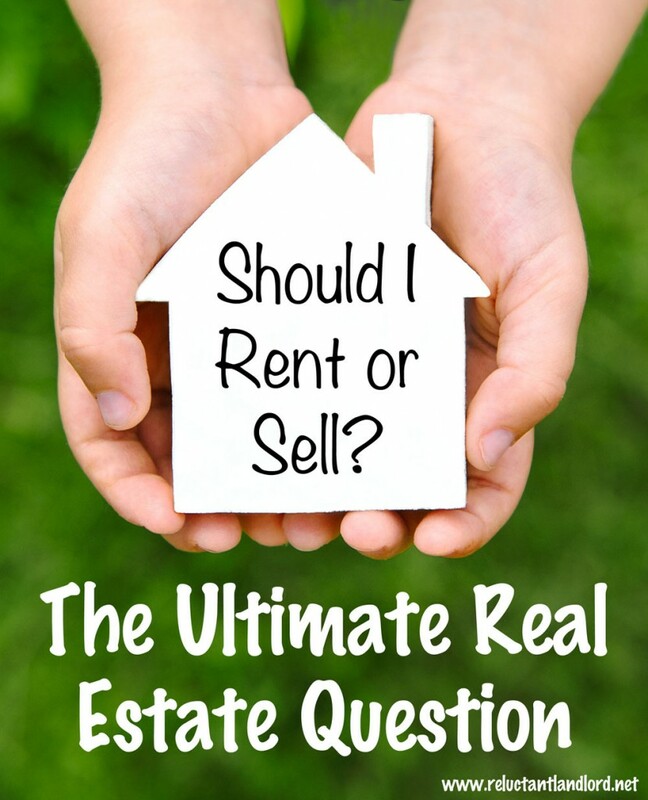 I’ve come up with questions you need to consider when deciding whether to rent or sell. Landlording isn’t fun and, boy, does it have its moments! For us, they have only been in the form of stress, not financial, but still emotional stress. That stress is draining and never seems to come at a good time. We have had tenants break their lease two weeks after we did a last minute cross country move after I lost my job. Another broke their lease three weeks after moving into said house while we had no second income. Those were just a few of the fun moments we had. While the rewards have been amazing, they are slowly realized, so patience is a must. It has taken us almost three years to start experiencing the financial benefits. The stress started day one! If you bring a profit to the table, make sure you have assessed the true profit from the sale of your home after real estate agent fees and capital gains. If you are bringing money to the table, make sure it is an amount that is worth it to you! Don’t forget that there are agent costs — 6% (3% per side), and in some areas it is even higher! Plus, in many areas the buyers want 3.5% toward a closing fee. There is often .5% or higher in other closing costs. So I always use 10% in my head to figure a quick cost to close. What is the TRUE cost of bringing money to the table? I see a lot of people calculating the costs of having the home based on vacancy, management, and maintenance costs. If the only reason you are selling is for monetary purposes, then make sure you are looking at the costs. While long term you might have vacancy and management costs, I have been able to eliminate those costs. My houses’ margins are $120-$450 a month and I have NEVER had to raid MY pocket to pay for anything. So before you shell out $40,000, figure out how long it will take you to break even! It might not be as bleak as you think it will be. Remember if you can afford it, there is nothing wrong with TRYING the rental thing and THEN selling it if it doesn’t work out! For example if you are losing $100 a month, that’s a total of $1,200 a year. If it costs you $40,000 to get rid of it, it would take 33 years to break even. That’s a lot of extra costs that would have to appear in order to make it worth $40k today! Just food for thought! Are you looking for cash-flow or payout? Life requires flexibility; business success requires a plan. Create a plan that reaches your long term goal. Our long term goal is early retirement for 15 years. While our plan when we started three years ago looks nothing like what we are doing today, we are still on path for our goal! So don’t get excited over making $10k today when it could be the final peg to goal achievement. If you don’t have a plan, you need to make one! We have houses scattered all over the country and consider them to be mini retirement accounts. Once you leave the house, it should be considered a business. Congratulations! You can make $20,000 if you sell the house. Now the hard question, what are you going to do with that money?! I could sell all of my houses for a profit, but I couldn’t reinvest them into other assets that give me the same return long term. My goal is long term cash flow for early retirement. So before you sell, make sure you have a reinvestment plan that maintains your LONG TERM goals! I recently sold a house for family and 1031 exchanged it into three houses in California. The area was depreciating. The house was older and had an over supply of brand new condos for rent. While the sales market was still in a good place, it wasn’t going to be there forever. This was the perfect time to jump ship! Look at your market. Where do you see it going? If you see the writing on the wall then this is the time to leave. On the other hand, we own some awesome townhouses in a planned community that became a ghost town during the recession. Now all the employers are coming back, and it’s one of my best markets! We bought when the other investors were jumping ship and now we are loving it. Do you have a place holder? Are you going to be coming back to the area? If you think you might be coming back, what is $10k profit when prices have jumped $50k higher? We have a house in Virginia Beach that not only has gone up in value by $15,000, but we have been able to pay the rental home mortgage with its rental income. If we had sold it, we would have lost $20K. I am a buy and hold landlord who has turned personal properties that are highly leveraged with low margins into great rentals. Many of them were highly leveraged because I bought them as personal properties. Some of them had as little as 0% down as they were bought with VA loans. Others were bought with 5% conventional loans. This strategy can be great for families of all economic means. So, of course, I am biased to keeping your house as a rental. Just remember that once you have a mortgage, it’s yours. There is no re-qualifying later. If you sell now you have to requalify for the new house. While you might qualify with a new house, you might not qualify with two new houses. So look at everything before you decide to sell. Here’s what it all boils down to: It really depends on YOU! No matter what is said in this article, on Reluctant Landlord, any other forum, or newspaper article, etc., at the end of the day it is what YOU are comfortable with and willing to do. Think of it like stocks. While you can make a killing in the penny stocks, you have to be comfortable because you can also lose your shirt. Any investment is going to have its up and its down days. If you don’t fully believe and are invested in succeeding, you will be not be successful in real estate. 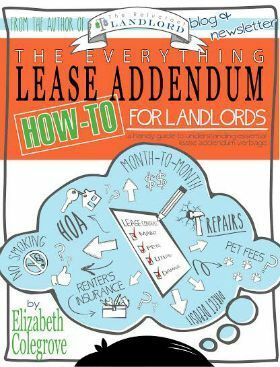 Going into this half-heartedly means you won’t be willing to do the right measures to stay out of landlord trouble. You won’t be able to deal with the tenant stress or any of the other consequences that come with being a landlord. But you also won’t be able to reap the amazing rewards that come with being a successful landlord in the real estate business. At the end of the day think about what you are comfortable with in the real estate business. I have a friend that is a day trader. He thinks I am crazy, and I think he is crazy. We both have been very successful but with very different ways to get there. The key is to do what is best for you! We are a military family and We currently own a house that is tenant occupied near a huge base in NC. Our (only – 3 yr) tenants are set to move in August and we recently put it up for sale (unfortunately) as a short sale because the community has so many foreclosures. Along with that, we thought about leasing it again, however, we would have to pay more money monthly to complete the mortgage as the houses are no longer renting for what our mortgage is. The houses are renting at about $200/$300 less meaning that’s what we would have to put up from our pocket every month (us as landlords) it would be more if we even had a PM! So we are debating if it’s worth doing a short sale or just renting it and having to pay so much out of pocket every month. We have bought many houses under-shortsale but never sold one. The key is to evaluate if the terms of a short sale (multi year house buying freeze, credit ding, etc) will affect you.